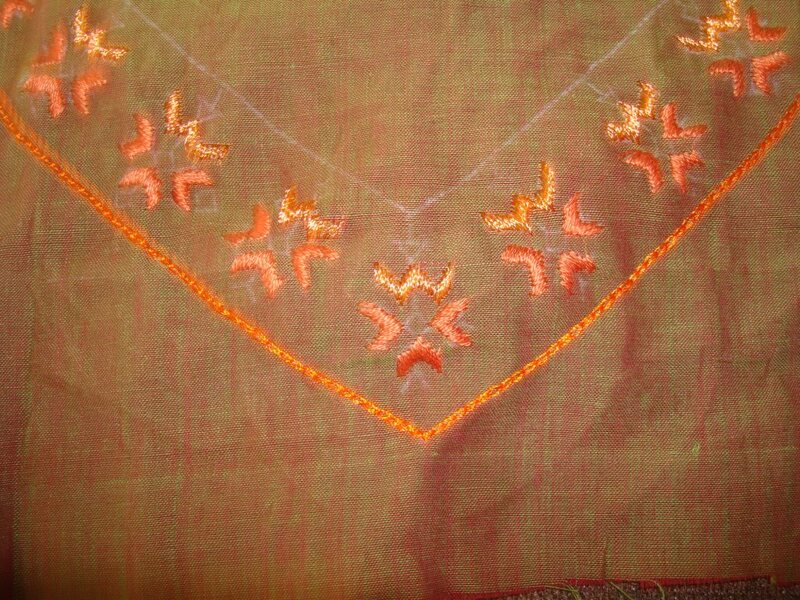 The stitches used in this yoke border were satin stitch and back stitch and chain stitch. 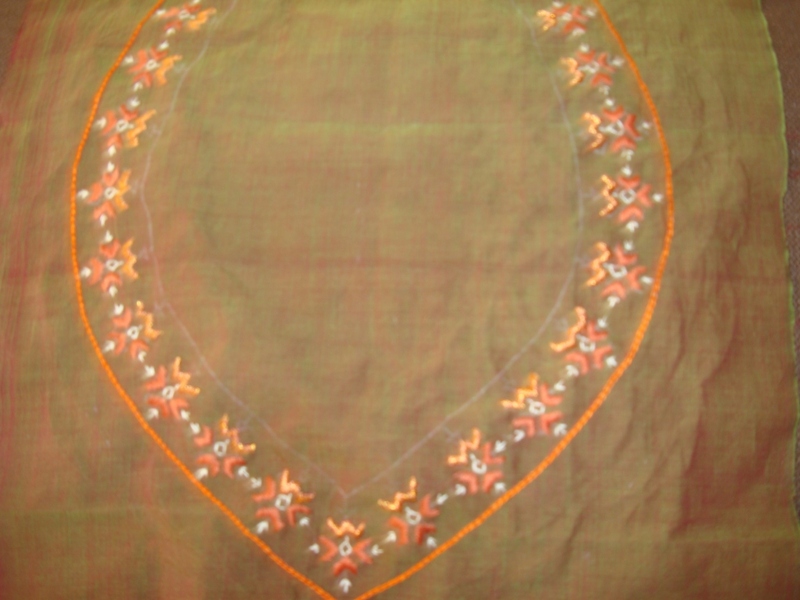 Silk threads were used for filling and white cotton skein for outline. 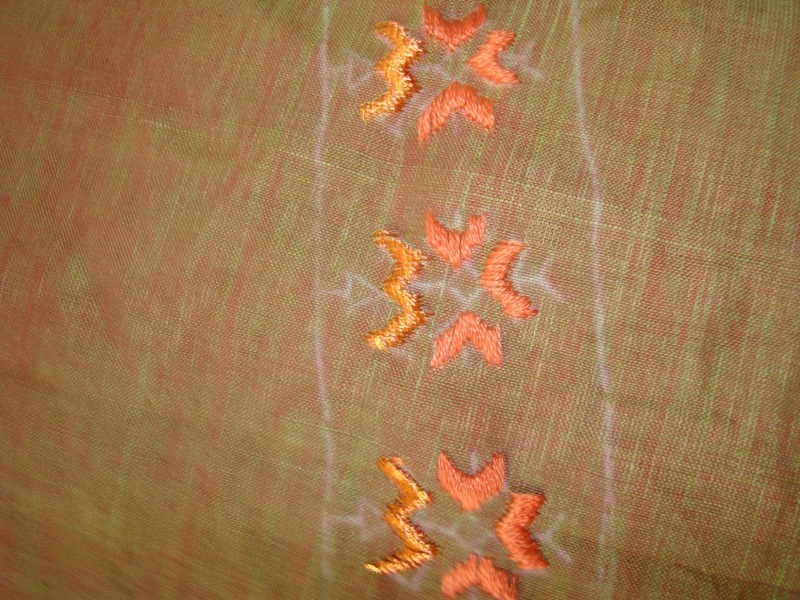 Then the whole set was given to the tailor for sewing. 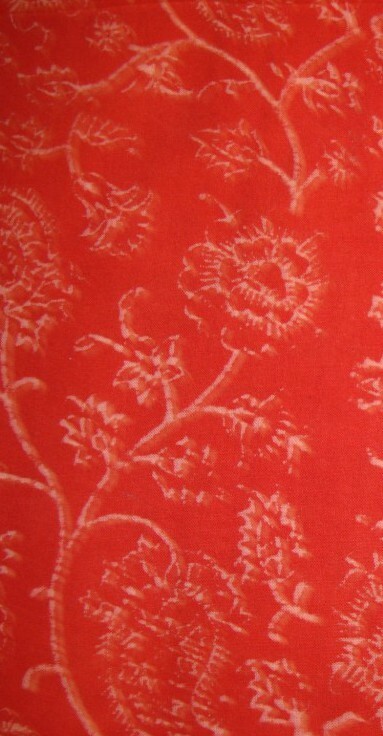 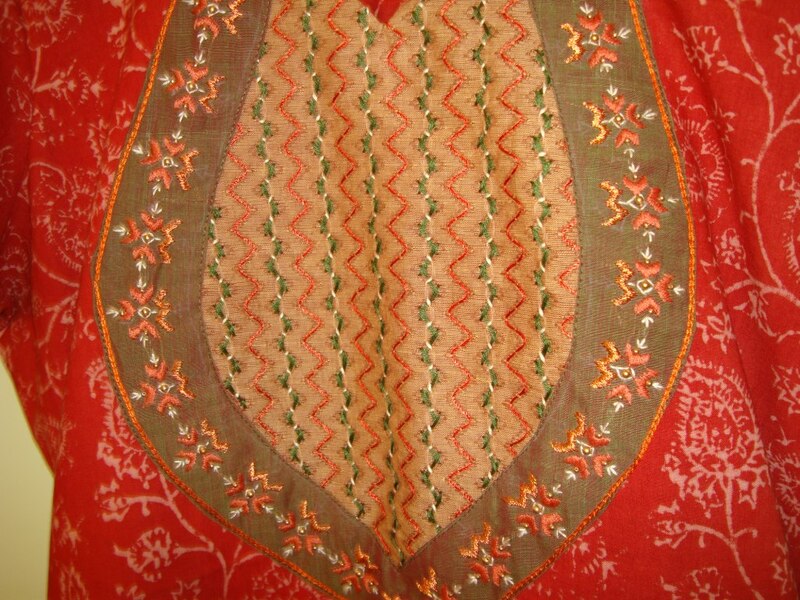 The colour of the block print of the tunic fabric was chosen for salwar[Indian pants] . 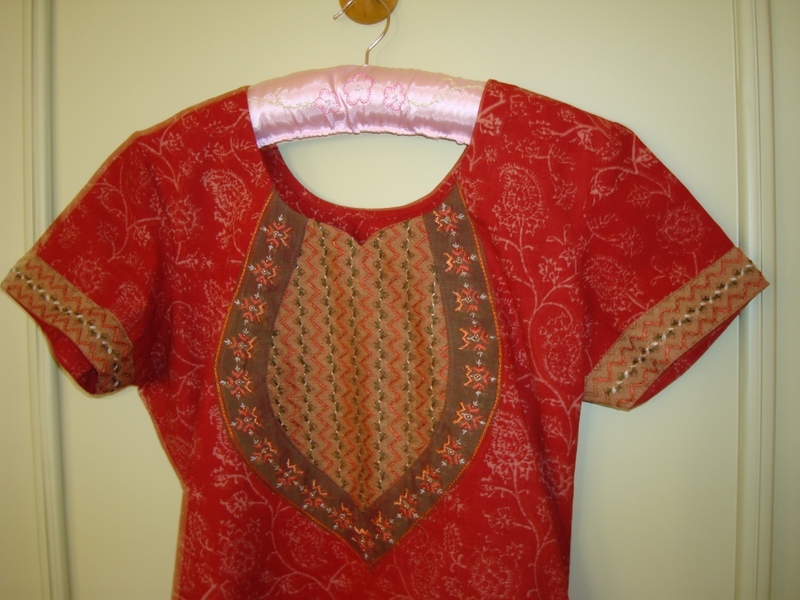 The tailor did a good job on this tunic, I love the shape of the yoke, with two fabrics, it was interesting, to work the positions. 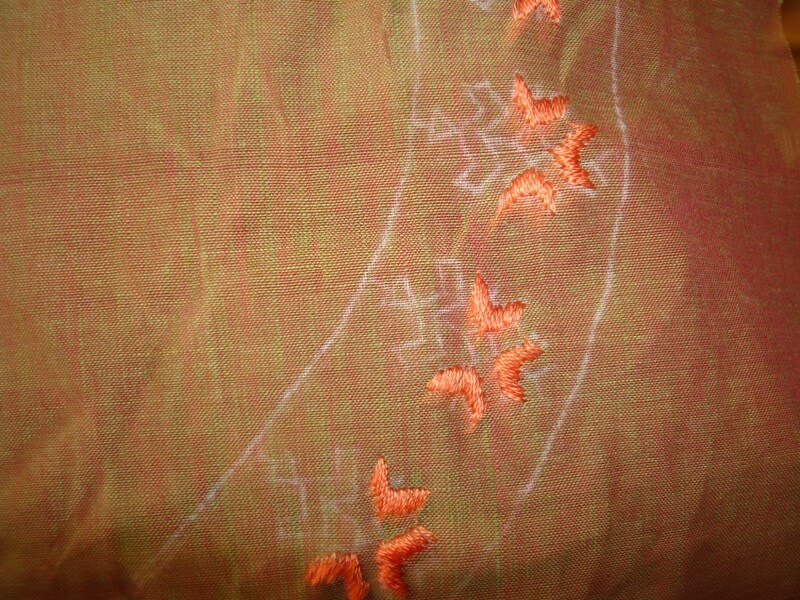 With the printed fabric for the centre, the designing was easier. 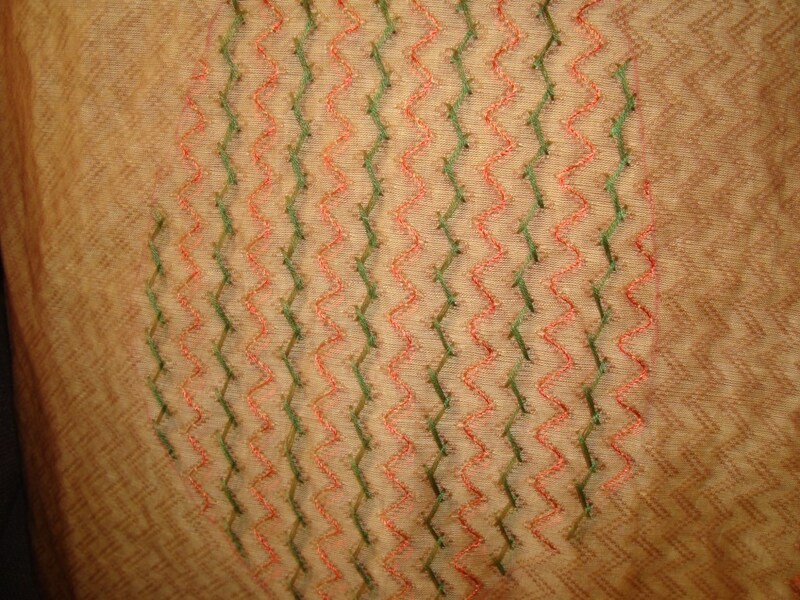 After working the herringbone stitches in dark green, small detached chain stitches were worked over them in white thread. 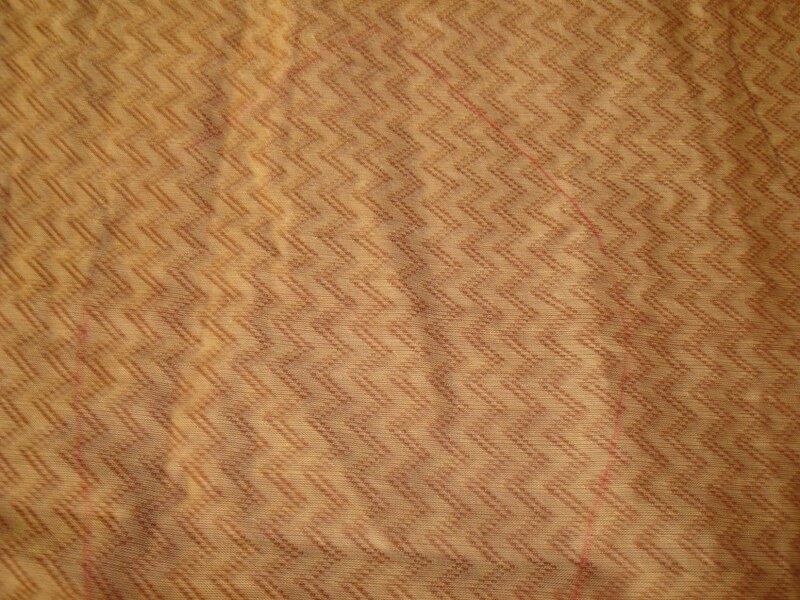 The sleeves were also worked in the same way. 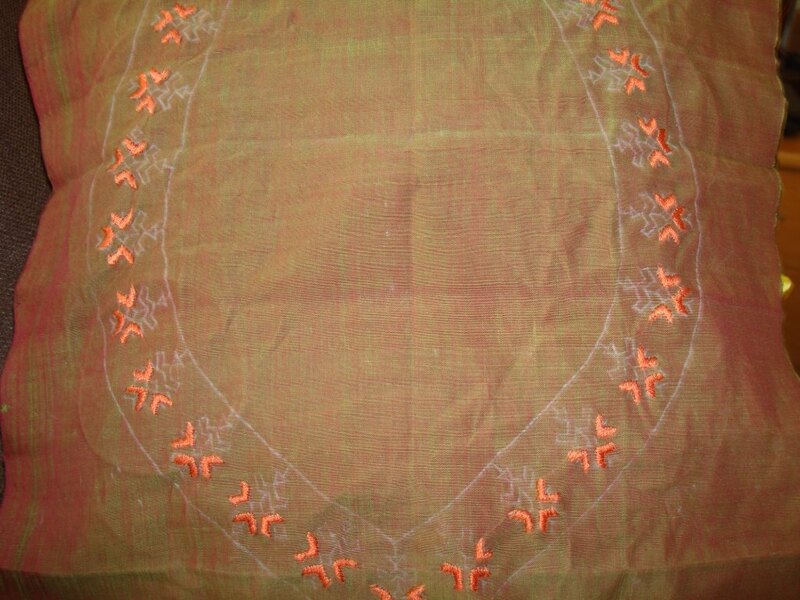 Now for the border details of the yoke. 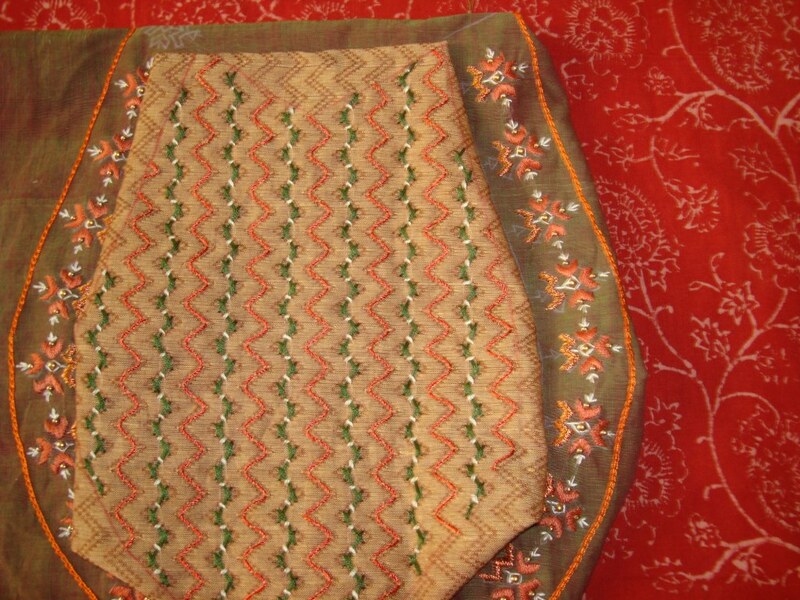 this border was worked on dark green fabric. 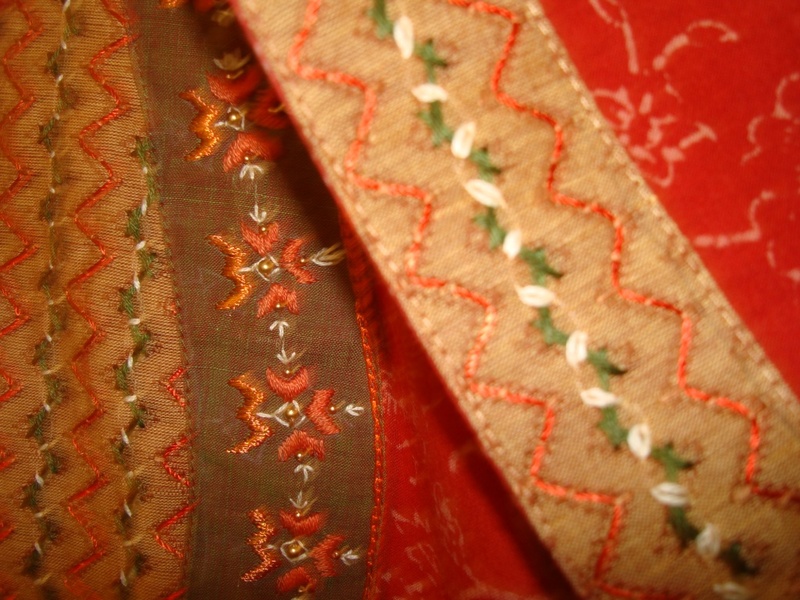 small geometric motifs were used for border design. 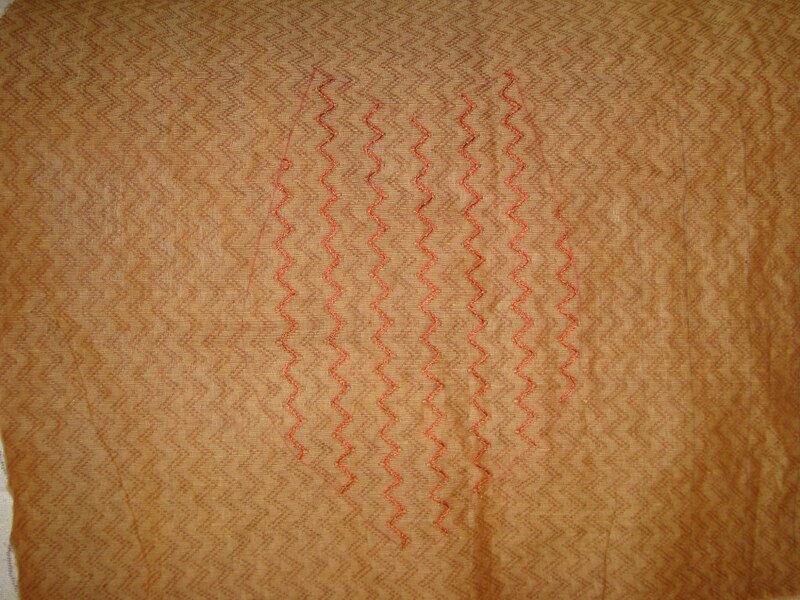 Three colours were used for embroidery, orange, yellow/orange and white. 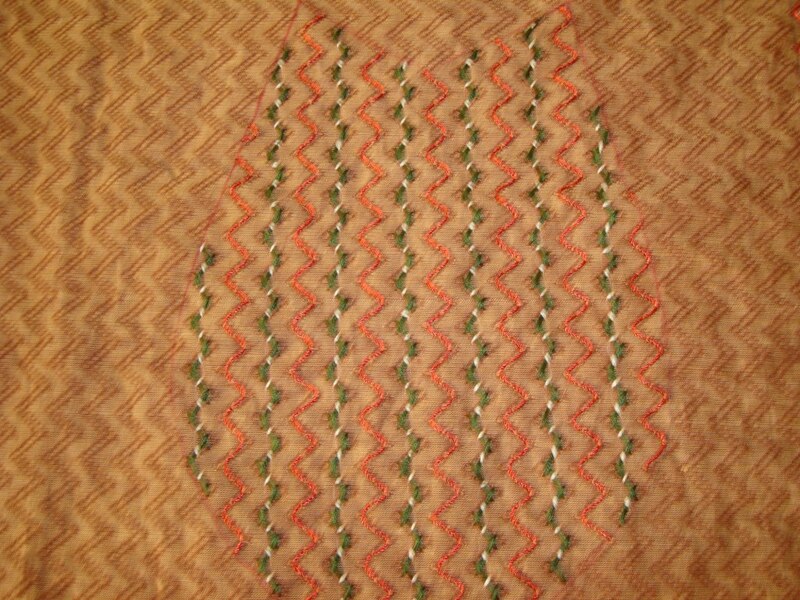 Dark green cotton skein was used to work herring bone stitches on alternate zigzag lines.